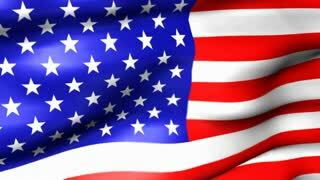 Search Results for "veterans day"
Flag FX1005: Close-up flag of United States ripples in a breeze (Loop). Old Glory 0210: The American flag waves in the breeze (Loop). Old Glory 0201: The American flag waves in the breeze (Loop). Old Glory 0109: The American flag waves in the breeze (Loop). Old Glory 0110: The American flag waves in the breeze (Loop). Old Glory 0101: The American flag waves in the breeze as rockets and fireworks burst (Loop).